Click Cartoon for Bigger Delusions! No, you haven't seen this cartoon before. Okay, you have seen this pictures before, just two weeks ago. Actually, I did this version first, but then I came up with a second punch-line, asked Mrs. Minion Master which one she liked best, and she picked the other one. So what you've got here is your basic sloppy seconds. Or, maybe YOU would have picked THIS as the funnier one, I don't know. All I really know is, traffic really drops off here around the holidays, so like the TV networks, I don't feel bad about a LITTLE recycling. However, to make it up to you, I've got an early Christmas present for you. Keep reading! Get My New "Panorama Beach" Mystery Ebook, "The Best Devil Money Can Buy" for (play irony music!) FREE from Smashwords.com! In 1967 Panorama Beach, is awash with dirty money: Developer money, drug money, vice money, and green-deputy Tommy “Mustang” Sawtell might just be the last untouched lawman in north Florida. 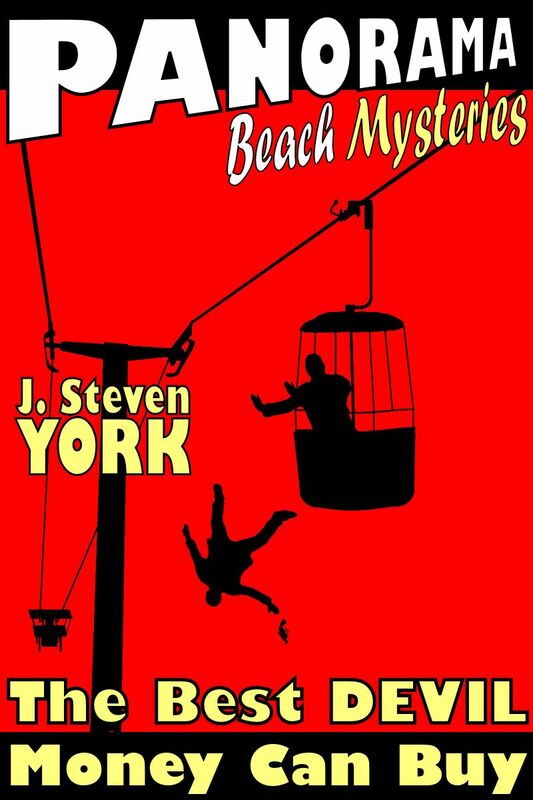 But Mustang is about to be tested as he investigates his first suspicious death, a “floater” found in a pond under the Sky Bucket ride, from which the deputy believes he fell, jumped – or was thrown. But the deputy doesn’t know why Sheriff “Big” Bass has personally assigned him to the case, there are signs of a cover-up, and Mustang is about to get a good look at his department’s dark underbelly. Before it’s over, he’s going to learn that justice, the law, and doing what’s right are all different things, and he may not like – or survive -- the dangerous little place where they overlap. Now, if you'd like to do me a large and just buy a copy on your ebook reader, it's now available directly for purchase for $2.99 at Smashwords.com, Amazon's Kindle Store, and B&N's Nook Store, and coming soon to other major ebook sellers. But if you act fast, you can also get your copy for free. Just use the Smashwords link above, order the book, and at checkout enter this coupon code: KL27M That's it! Your book download (in formats to read on Nook, Kindle, Kobo, and pretty much all ereaders, computers, and portable app-devices) is free! The catch? This coupon expires December 13th, 2011, so go download yours TODAY! My one request in exchange for the freebie, however: If you read it, and enjoy it, your reviews, star-ratings, "likes," etc. on Smashwords for sure, and on B&N.com and Amazon if you get the chance, are much appreciated! See you guys back here next week, and watch this space for future ebook special offers.